I went to a party the previous week and as I sat down my eyes immediately were attracted to these tiny coconut covered balls. My hand quickly dove into the platter, grabbed one and sunk my teeth right into it. 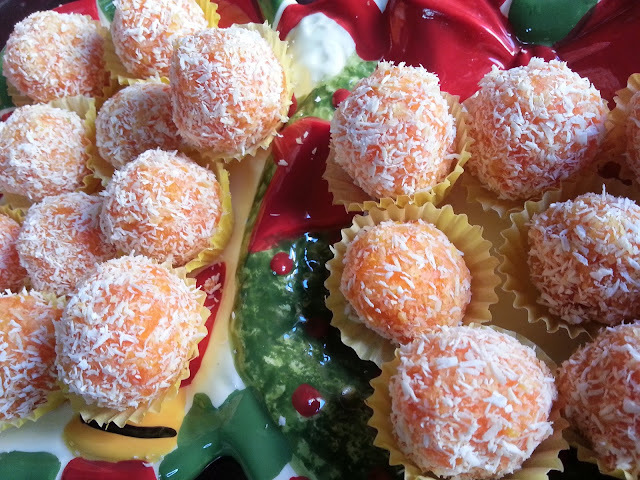 Then another one and another one, I couldn't stop at just one, these Carrot Truffles were so good! So what's the next best thing, you ask the host of the party if you can have the recipe. She handed me over the recipe book. I opened it up and found my recipe of Carrot Truffles, they were so easy to make. This is not my recipe, and I haven't tweaked it at all. 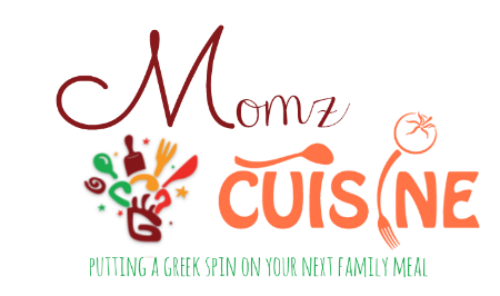 The author of the cookbook is Vefa Alexiadou, she is really well known in Greece. I just wanted to share it with all of you. Clean your carrots place them in a pot and cover them with water.Boil them until they become soft ( don't over boil) Place them in a colander and let them drip dry.When they have dried up shred them. Place them again in the colander and set them aside for two hours. Place them in pot add sugar, place your pot on stove on high heat and stir for about 15 to 20 minutes. Take your pot off the burner, add your vanilla extract, grate your two lemon rinds,and your coconut, stir and allow to cool. 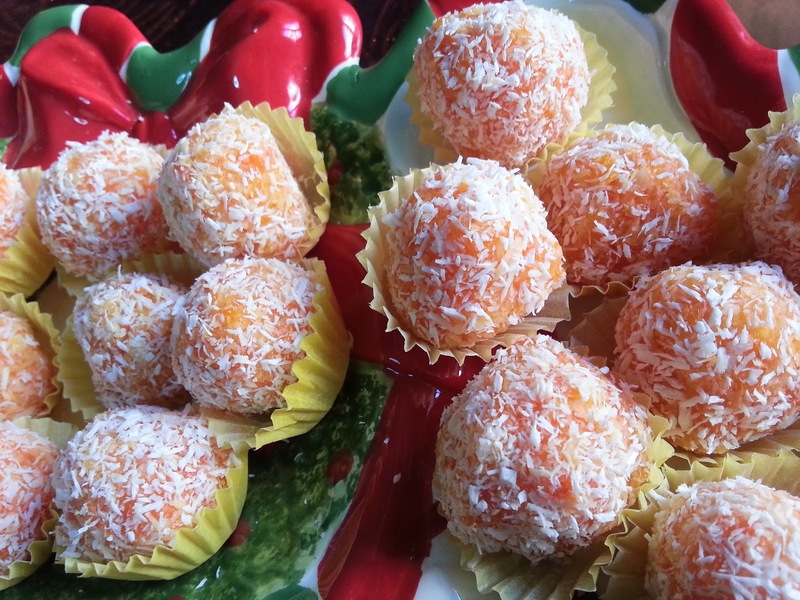 When cool take a bit of the carrot mix and roll balls into your palm then coat them with coconut and they are ready to serve. KALE OREXI and have a very HAPPY NEW YEAR!!! You should be able to make about 40 - 50 depending on how big or small you make your truffle balls.